Tell us about your journey into Revenue and Client Success. What attracted you to join Bazaarvoice? I originally joined Bazaarvoice 9 years ago — and that’s a long time in tech. The initial attraction was two-fold. Firstly, Bazaarvoice was at the forefront of transforming the way that retailers and brands marketed, merchandised and entered into a real dialog with their consumers. The second is that the company clearly had a distinctive culture internally that balanced entrepreneurialism with a high degree of integrity and transparency — a great place to learn. Nine years later, the retail and brand transformation continues to evolve, alongside our culture — but both remain at the top of my list for why I am bullish on Bazaarvoice. While the fundamental best practices are shared, I find Customer Success in our market to be incredibly engaging. The biggest difference is that our client is really on the business and revenue side — they are developing and growing the consumer brands that we all buy, they are shaping the retail experiences where we shop. The engagement model focuses less on back-office adoption and more on mapping to major go-to-market initiatives. How has your role at Bazaarvoice evolved since the time you first joined? I have been lucky enough to work across all facets of our client business — from developing our new verticals to expanding our international markets, Sales to Marketing to Customer Success. The roles have continually evolved but the through-line is really about how we align and reinvent our approach to meet the quickly evolving goals and strategies of marketers in the post-digital age. How different is Client Success Management and Reporting different today? When we started in Client Success, it was a nascent practice. It was a title and role we had to explain to our customers. There was not an ecosystem of supporting thought leadership and technologies to enable client success. So, early on, we developed many of our own playbooks, methodologies and metrics. Overtime, we have formalized those processes into the tools that are now available to help professionalize the capability. How do you differentiate Customer Success and Customer Service? How have these changed in the past 5 years with Sales Technology and Sales Intelligence tools? To me, outstanding Customer Success is a motion that focuses on proactively challenging the way our clients think about achieving different business results (via our expertise, technology, and programmes. ).Customer Service is equally important but different, and the two functions must act in tandem. Customer Service or Support is the reactive response to our clients’ ad hoc needs. When the two work hand-in-hand, Customer Success drives actions within our client base that our Support services help to enable. Like most teams, marketing-sales alignment is a continual game of optimization. In the simplest terms, I think the secret is in starting with the desired buyer/client outcomes and internal business objectives. From those focus points, we develop go-to-market plans where Marketing, Sales, and Client Success can each play complementary roles. The corollary is to start with each of the functions (Sales vs Marketing) and optimize for their objectives — then later try to bring those objectives into alignment. I see this as a flawed approach because it begins apart as opposed to starting together with the specific target market and objective in mind. Our Sales culture stems from our company culture. Culture often gets tossed-out as a buzzword but Bazaarvoice has long been a pioneer in culture. For us, culture starts with a focus on how we hire. Beyond experience or specific skill sets, we seek individuals who bring humility, high curiosity, and generosity (or teamwork) in their approach. Post-hiring, we invest time, money, and energy towards building a transparent and flat organization where data, insights (why are we prioritizing a particular focus), and communication flow up-and-down the organization. In Europe, I have sat down with almost every new hire class over the past two years to explain our strategy and engage in dialog around what is and is not working — this is how we start the two-way discussion around how we empower innovation. How do you leverage AI and Automation at Bazaarvoice? We are investing heavily in new technologies to help power new innovations on our platform at scale. A great example is our acquisition of an innovative firm called, AddStructure, last year. AddStructure adds a depth of Machine Learning expertise, specifically around understanding the contextual nuances of consumer feedback in reviews. 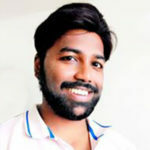 As an initial application, we are using this technology to power our Review Highlights feature, which automatically summarizes the common themes for a product that has dozens, hundreds, or thousands of reviews, and we are using the same capabilities to improve the way we moderate reviews at speed, scale and accuracy. Thank You, Joe. We hope to see you again, soon. Each month in the Bazaarvoice Network, more than 900 million consumers share authentic content including reviews, questions and answers, and social photos across 5,700 brand and retail websites. 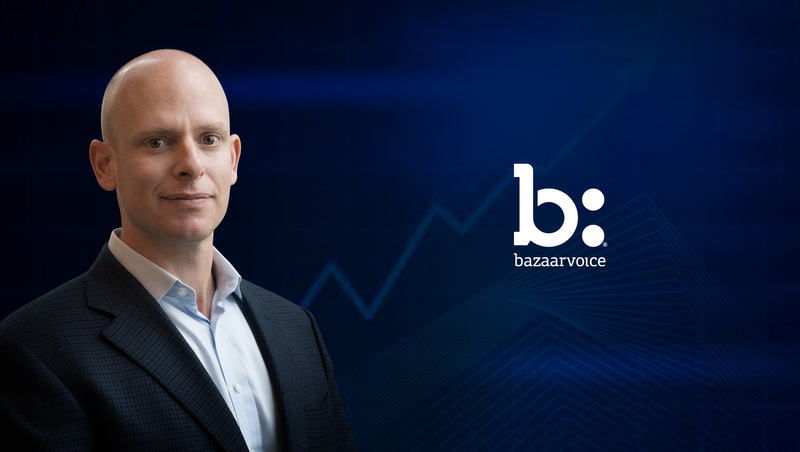 Across the network, Bazaarvoice captures data that powers high-efficiency digital advertising and personalization with unmatched relevance. Joe has worked with some of the largest retailers in the world on developing their customer experience and consumer-generated content strategies. In his current role, Joe leads strategy, revenue growth and overall operations for Bazaarvoice across EMEA.